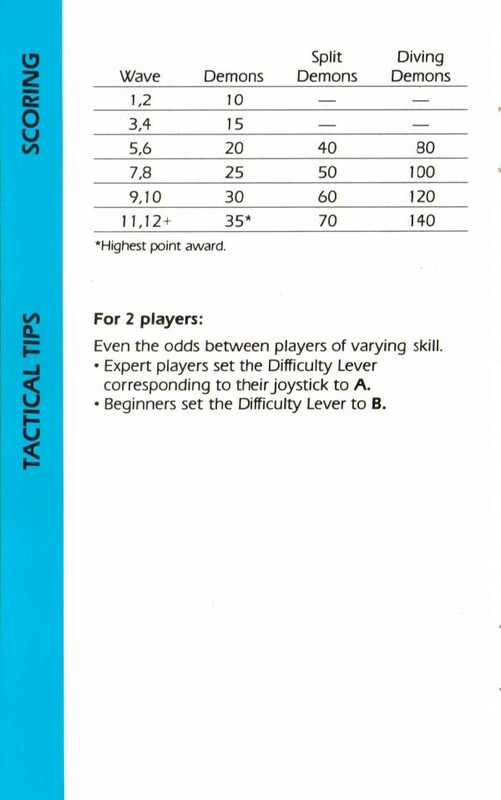 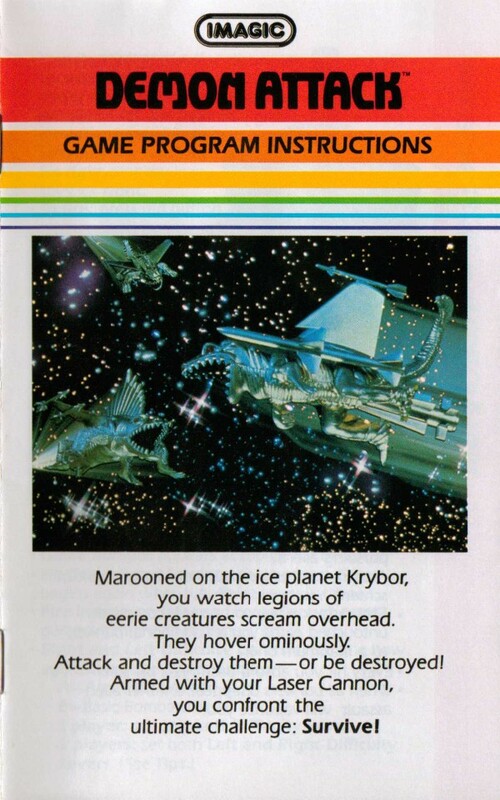 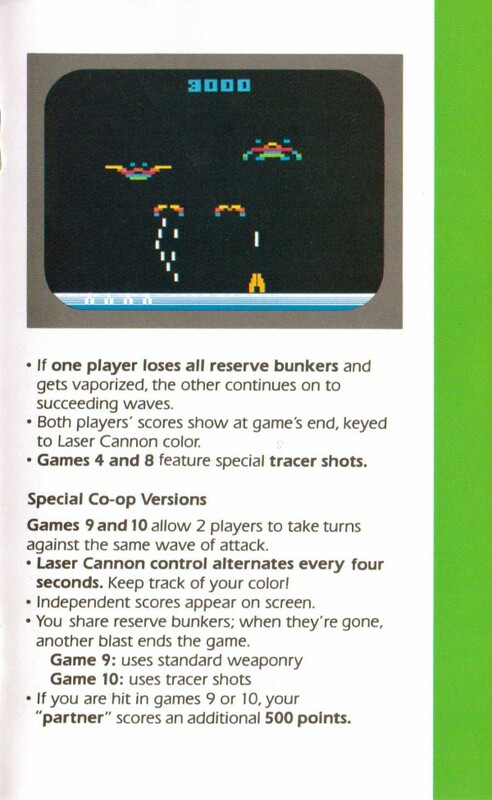 This, along with River Raid, are two of the best shooters for the 2600. 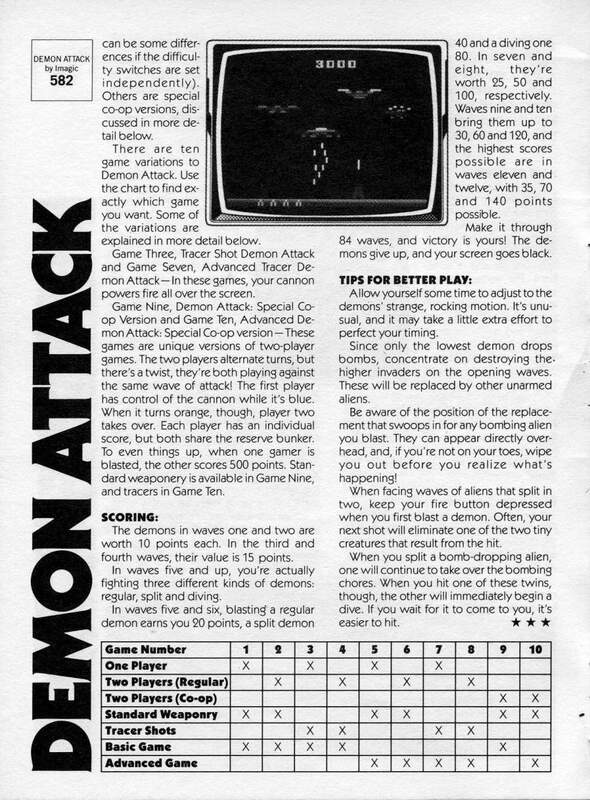 Rob Fulop was really good at shooters (2600 Missile Command, 8bit Space Invaders, etc) and this shows his skills at their best. 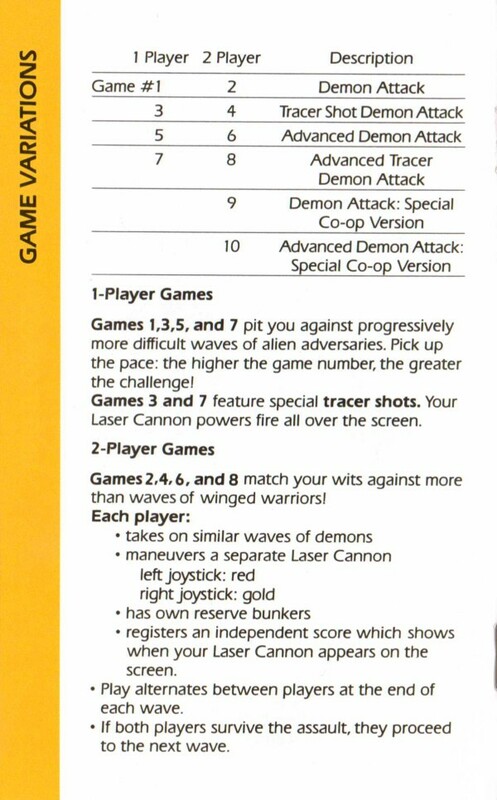 Two different versions of this game exist. 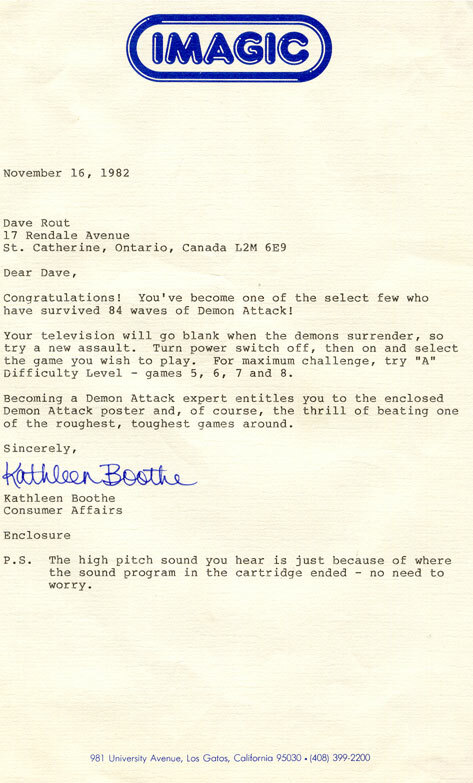 The original version ends (in a blank screen) after all 84 waves (games 5 through 8 start on wave 13, and will freeze after wave 72) are destroyed. 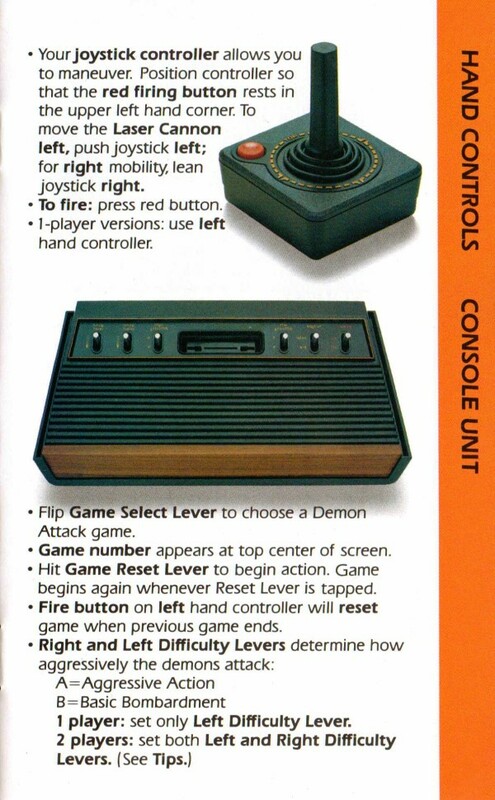 Later releases changed this so that the game plays indefinitely. 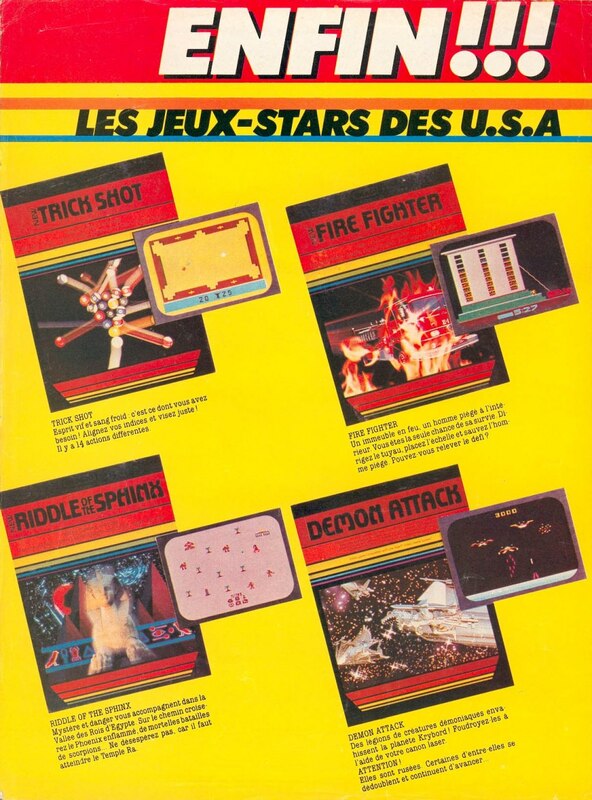 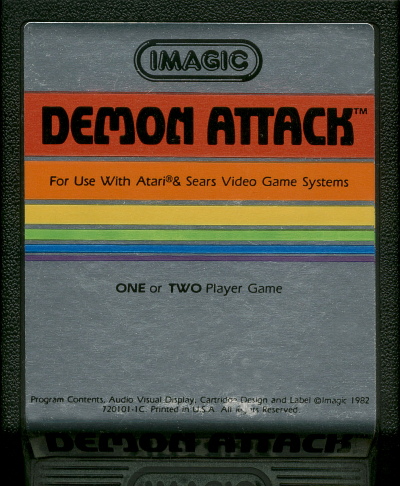 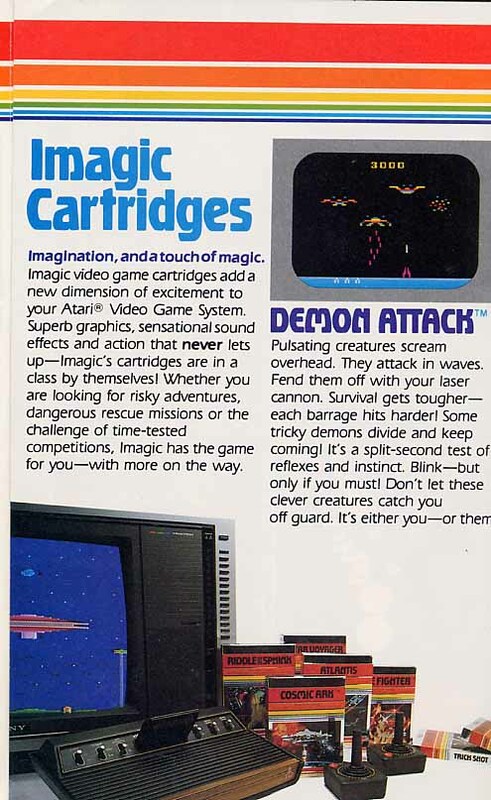 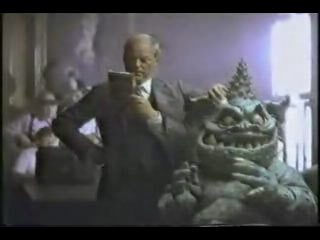 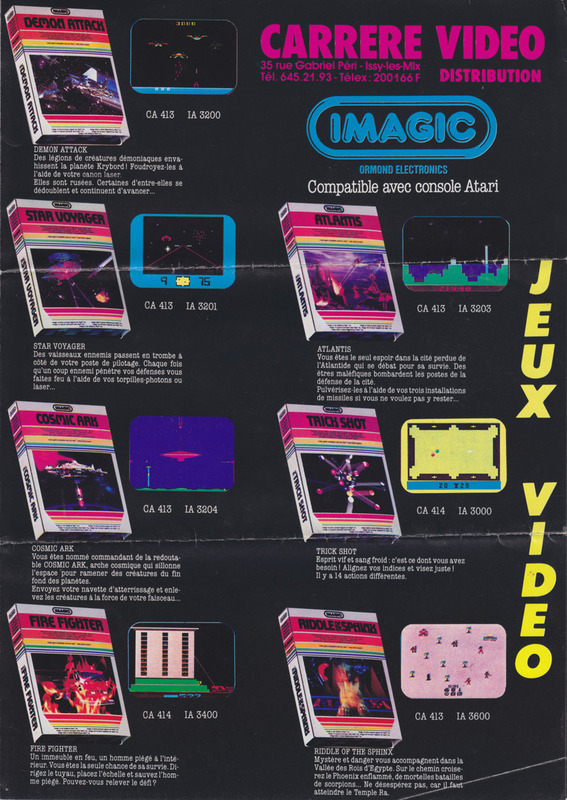 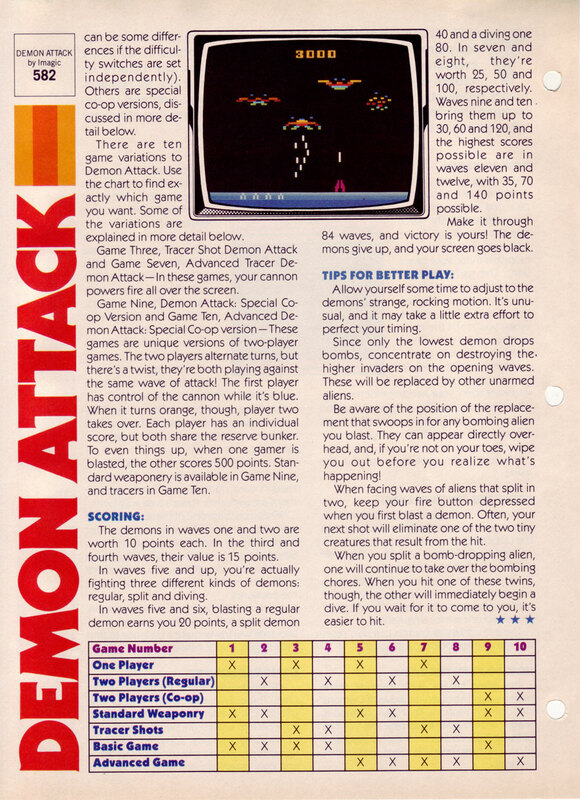 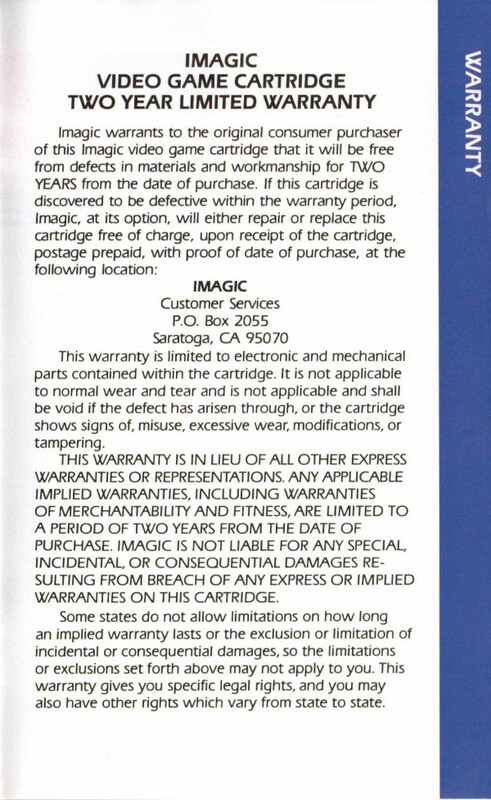 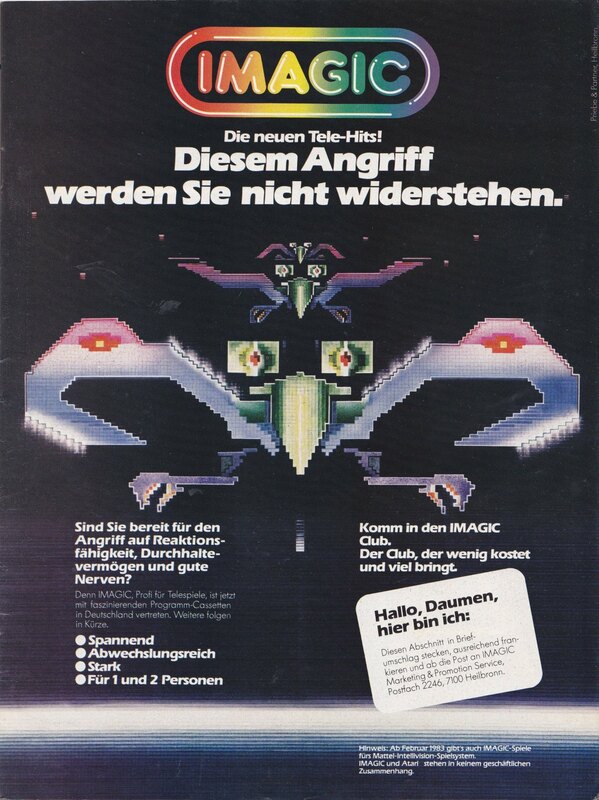 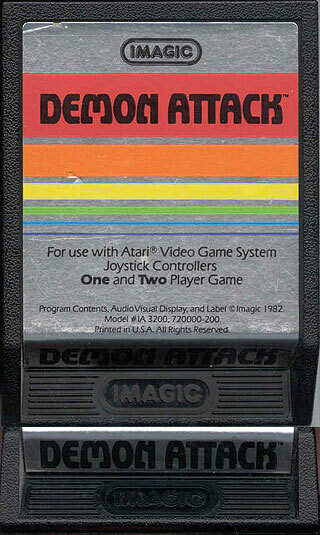 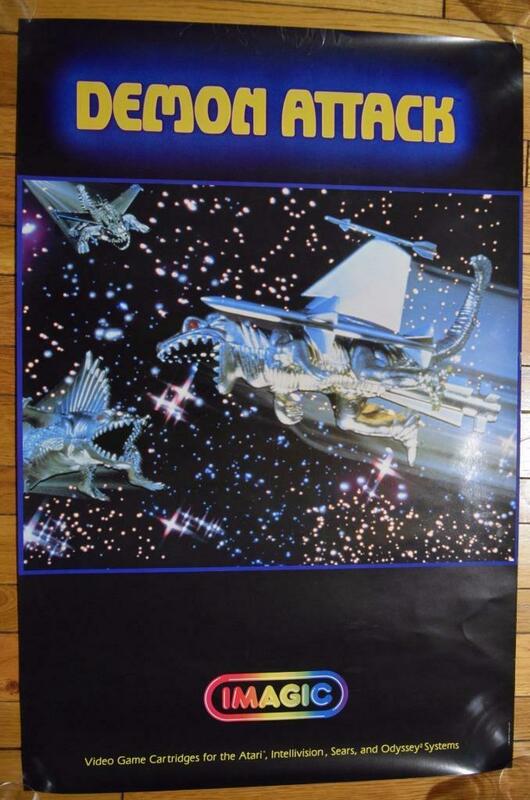 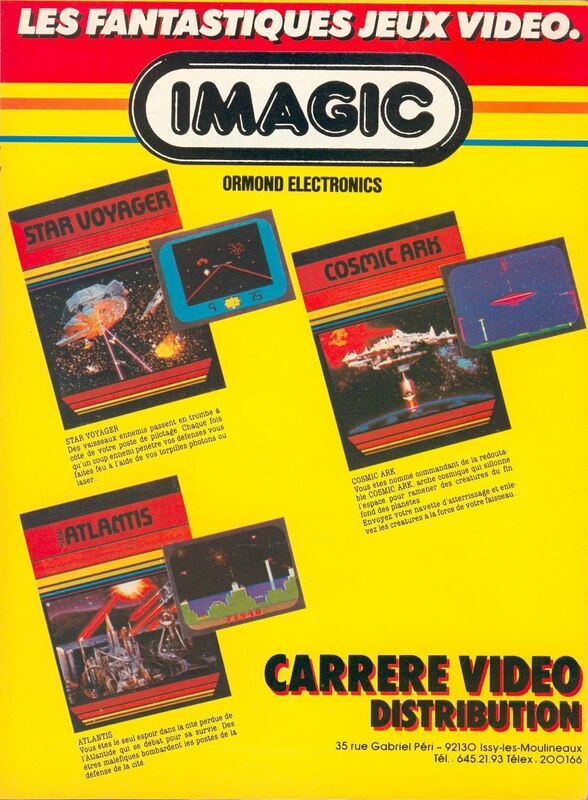 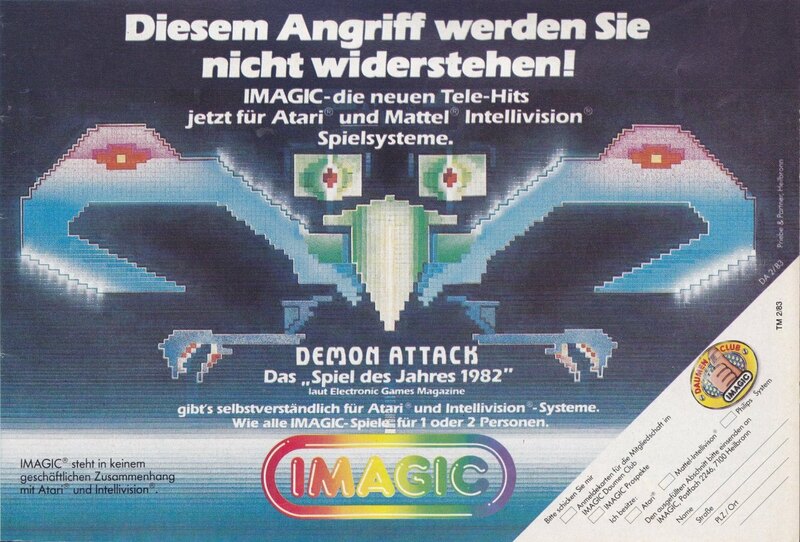 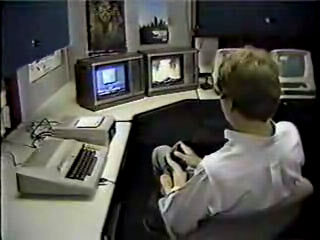 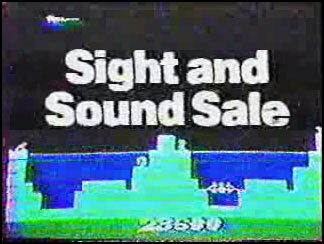 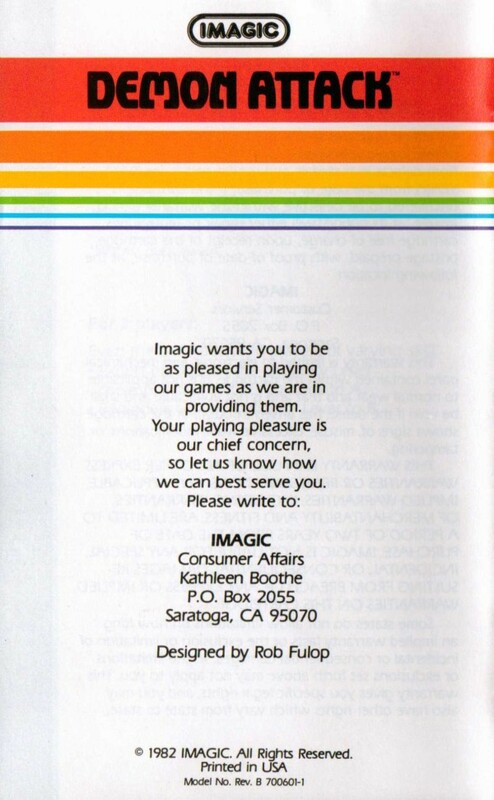 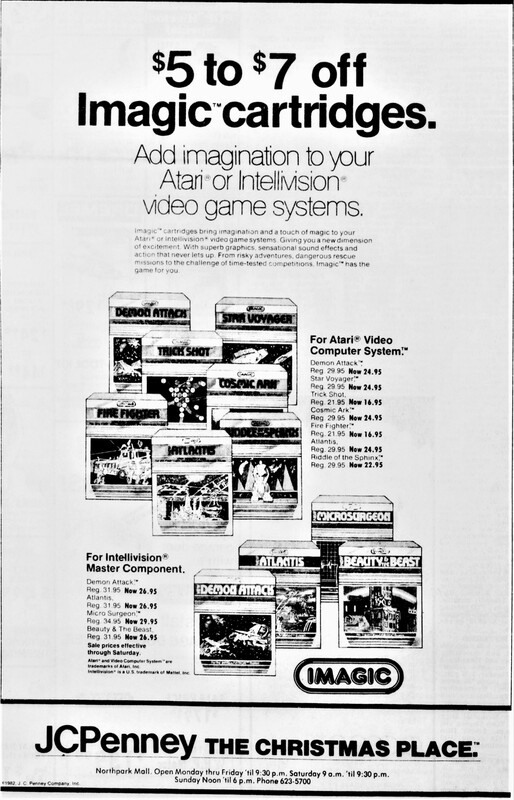 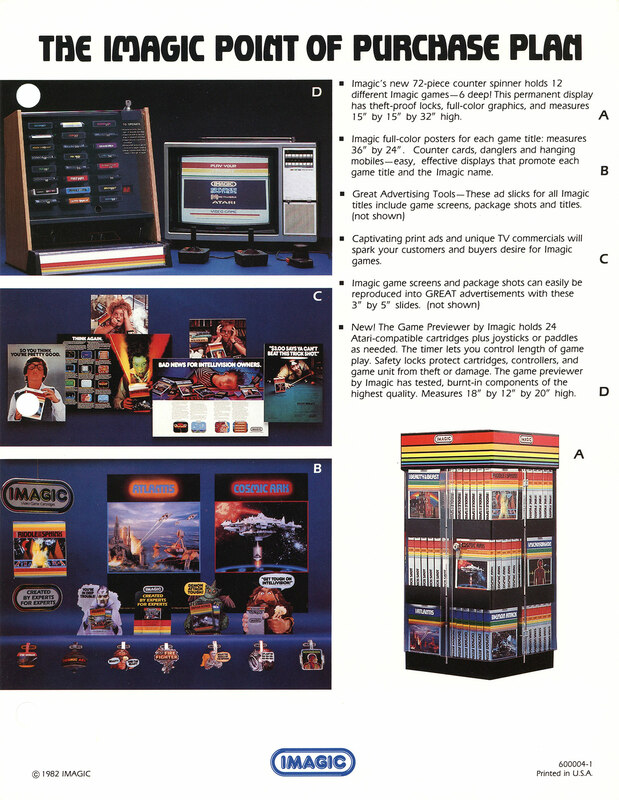 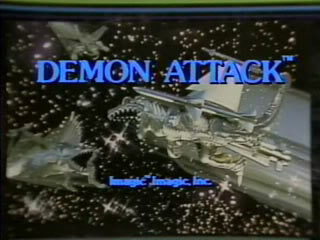 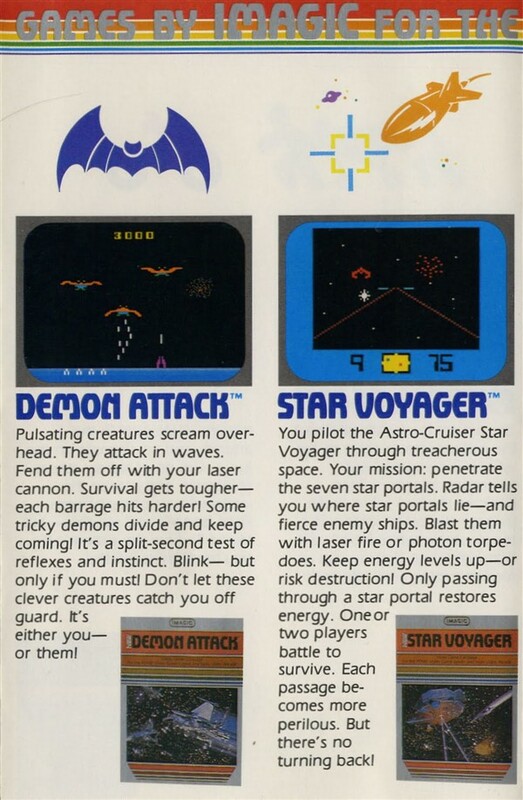 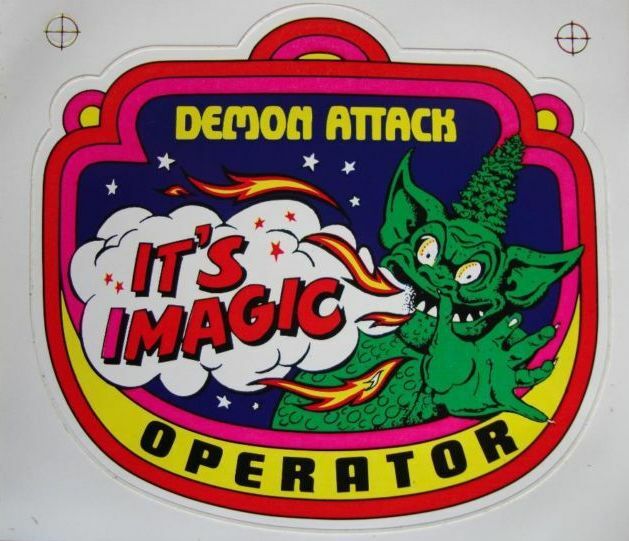 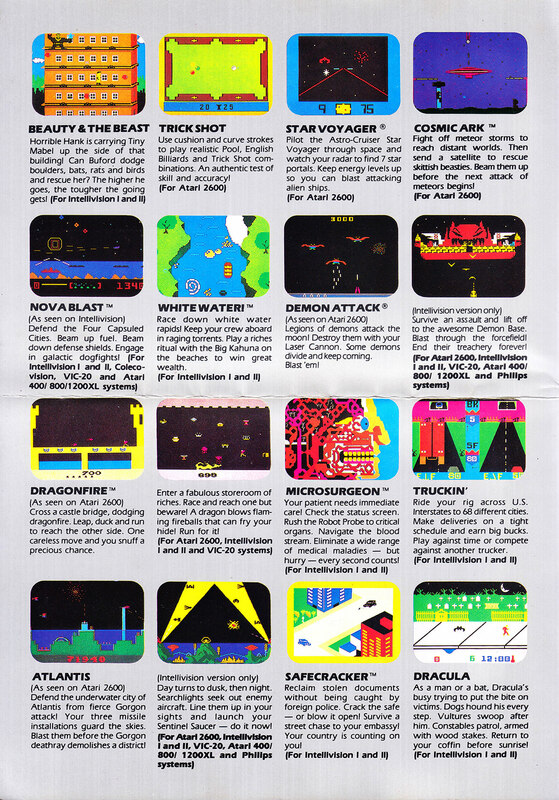 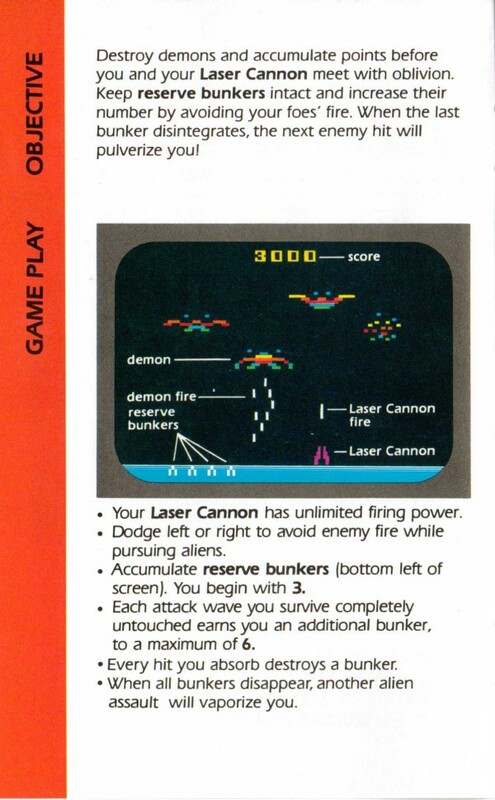 Atari sued Imagic in 1982 for Demon Attack's similarity to Phoenix. 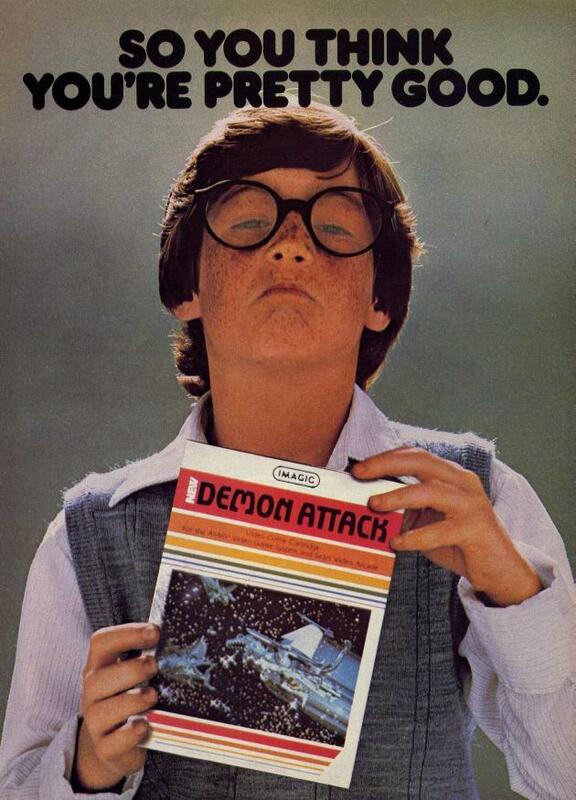 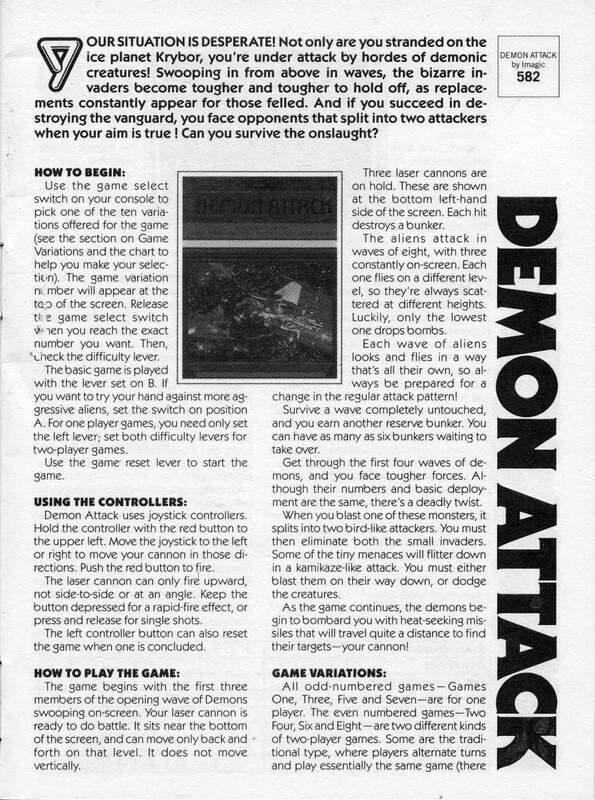 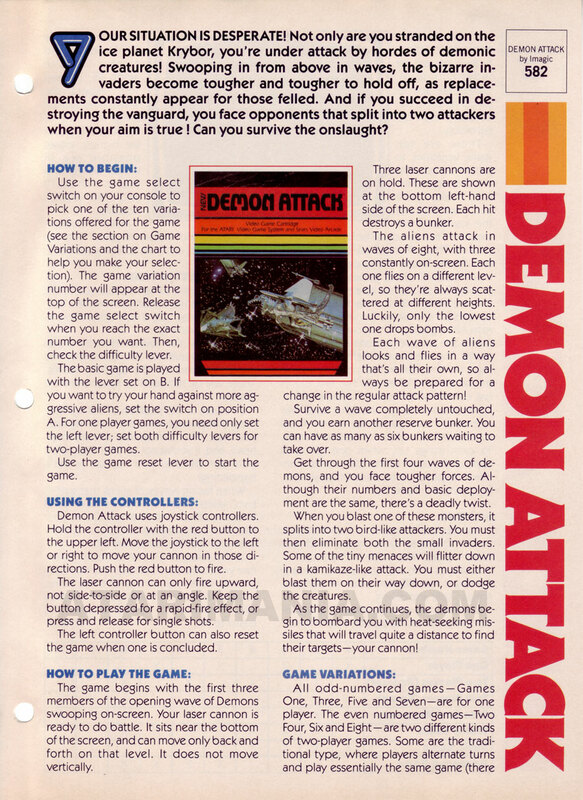 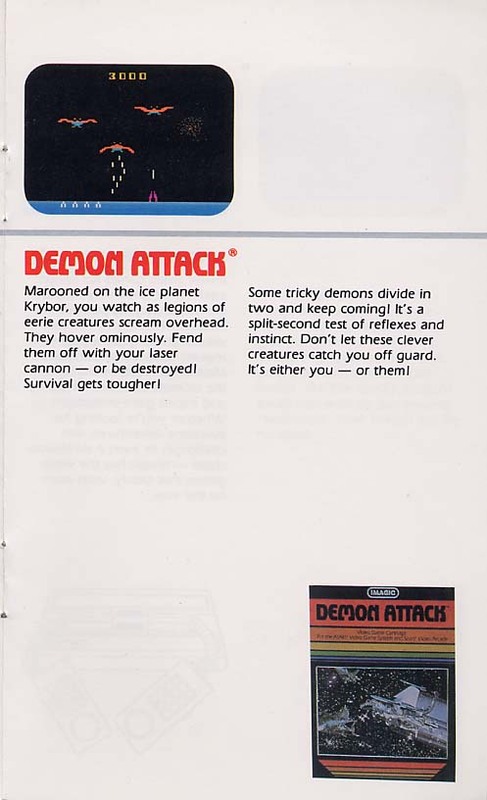 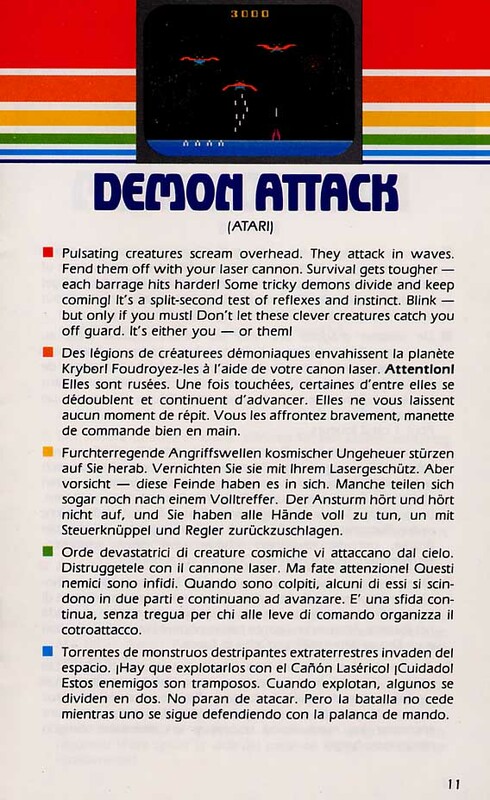 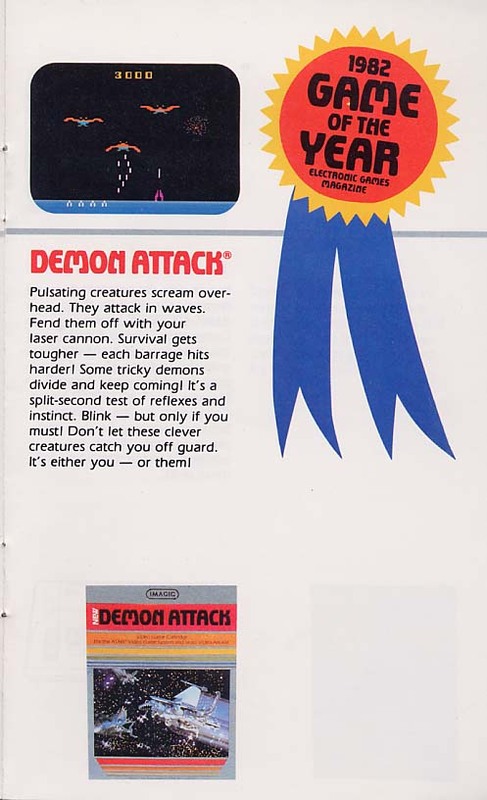 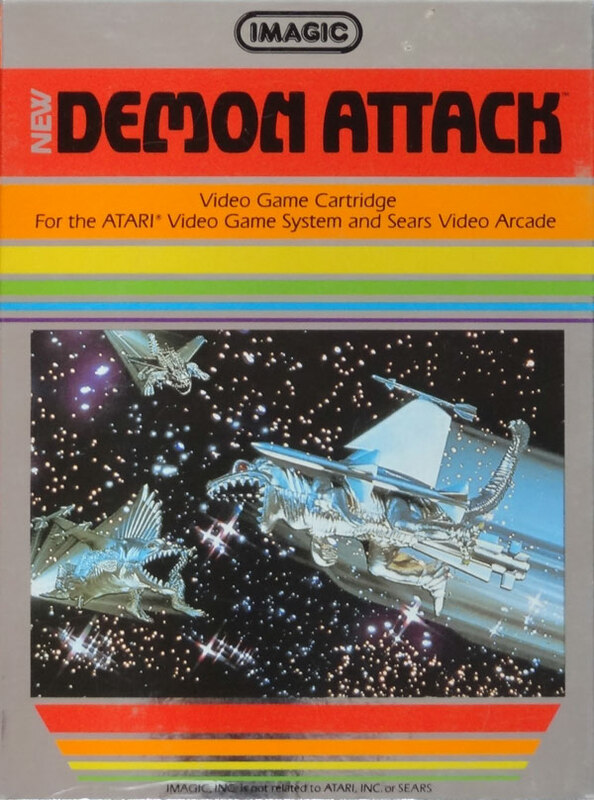 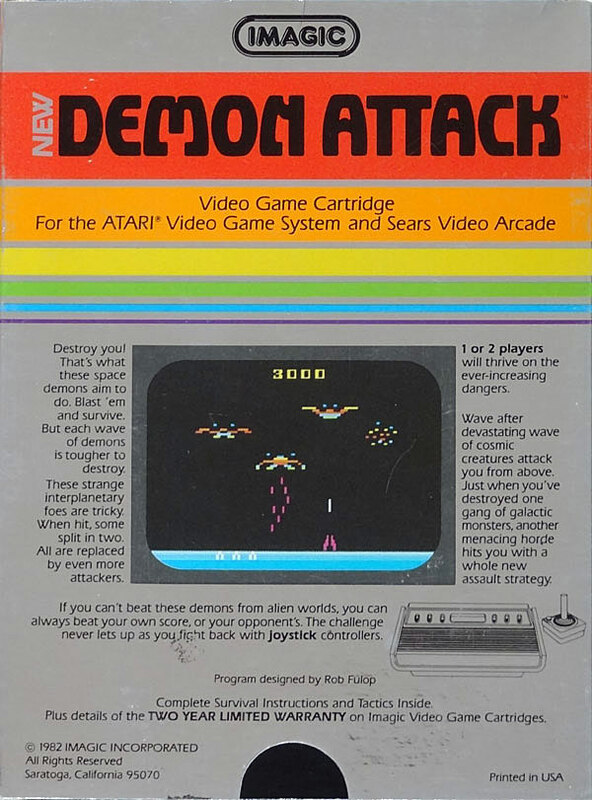 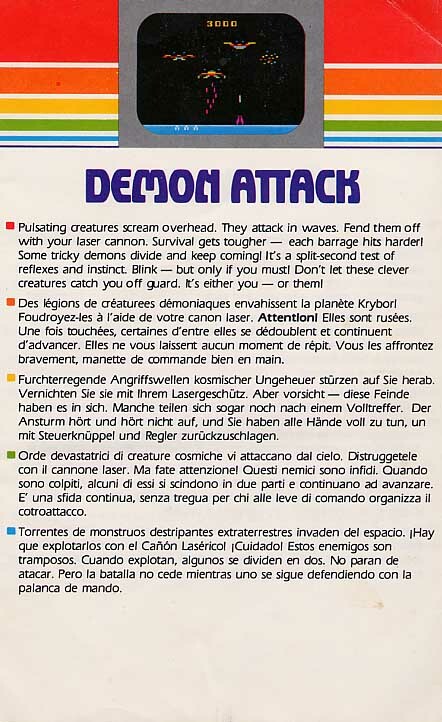 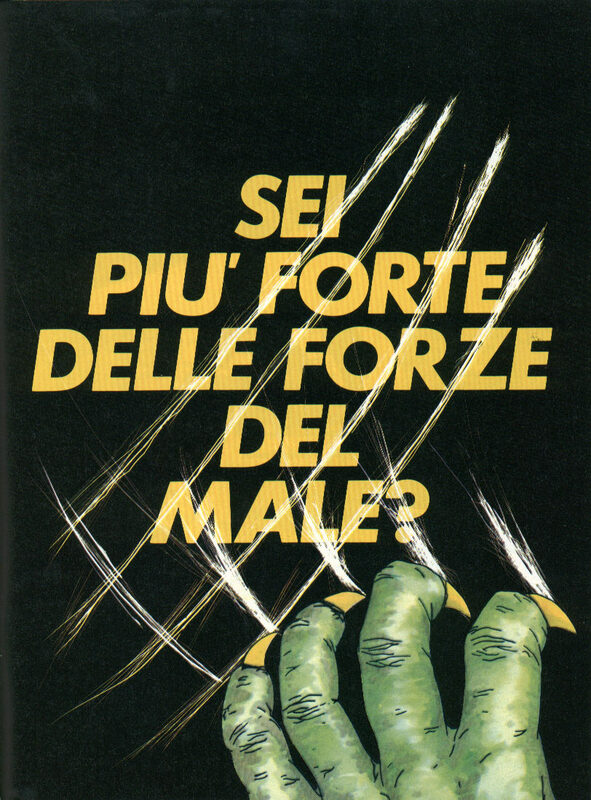 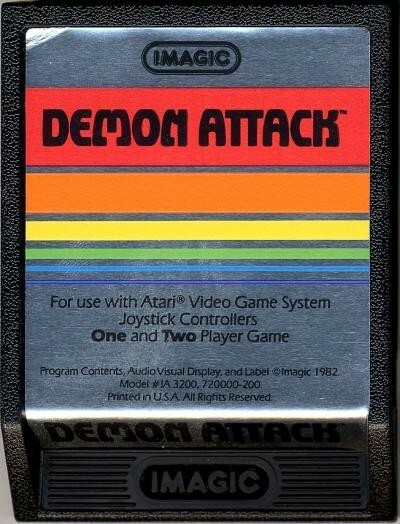 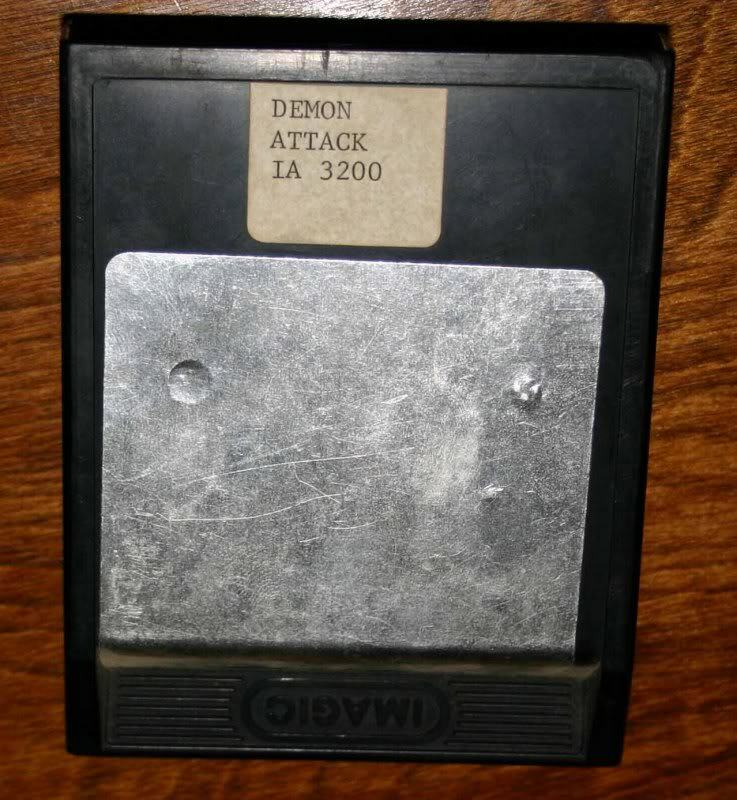 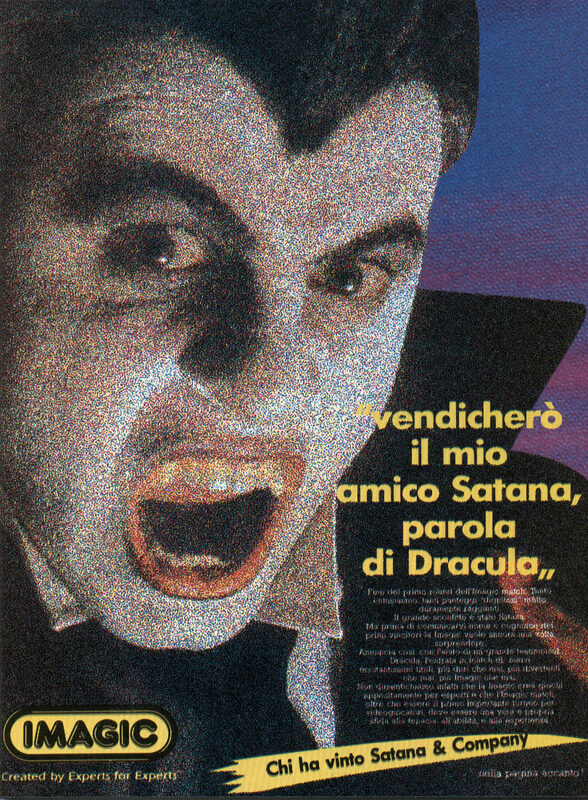 In 1982 Demon Attack was awarded as Video Game of the Year by Electronic Games Magazine.